Place milk in a small microwaveable bowl or measuring cup and add yeast, whisking to dissolve (it may take a couple of minutes). Transfer to the microwave and gently heat 10 seconds at a time until milk is 110-120°F (warm to the touch on the inside of your wrist, but not hot). Set aside. In a very large bowl, whisk together flour, 1 teaspoon cinnamon, and 1 1/2 teaspoons salt. Set aside. Place 1 pound butter in a medium microwaveable bowl and microwave 20 seconds at a time until butter is soft enough to stir, but still opaque and with a few lumps. Stir in egg, corn syrup, and milk mixture. Add butter mixture to flour mixture in 2 to 3 additions, stirring to combine. When mixture is stiff enough to handle, knead it in the bowl with your hands, forming a smooth dough. Set aside to rest. Meanwhile, in a medium saucepan over medium heat, combine brown sugar, Golden Syrup, 1/2 pound butter, 1 teaspoon cinnamon, and 1/2 teaspoon salt and bring to a boil. Cook, stirring constantly and adjusting the heat to maintain a medium boil, for 3 minutes. Remove from the heat and set aside to cool slightly. While syrup cools, form dough into 1 1/2-inch balls (about the size of ping pong balls). Preheat a thin Belgian cookie iron. 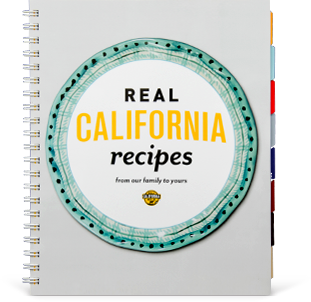 Arrange a spatula, cutting board, knife, and cooling racks or cookie sheets nearby. Lightly coat both sides of each cookie mold with melted butter and place a dough ball in the center of each. Close the lid all the way but don’t lock it (the cookies will rise a bit). Cook until golden brown, about 1 1/4 minutes. Use the spatula to immediately transfer cookies to the cutting board and carefully cut each in half thickness-wise, forming two very thin cookie layers. Spoon about one tablespoon syrup onto cut side of one layer of each cookie, then top with other layer, cut side down, forming two cookie and syrup sandwiches. Set assembled cookies aside on the cooling rack to cool. Repeat with remaining dough balls, re-buttering the cookie molds and gently re-warming syrup as needed. Makes about 4 dozen. Notes: Look for Lyle’s Golden Syrup in specialty food stores and online. The Tiemersma family recommends Palmer’s Thin Belgian Cookie Iron model #1110. Tips: As with making waffles, it might take a batch or two before the iron’s heat evens out and you get your timing right—but those first imperfect cookies make good snacks, and any crumbs as you work make great ice cream topping. It’s easier to cut the cookies into two layers than you might think, especially since they’re still warm from cooking and very slightly puffed. We recommend using a 6- to 8-inch thin-bladed knife. When assembling the cookie “sandwiches,” it works well to halve the cookies, then use your knife to flip the halves open at the end of the cut. After you spoon the syrup onto the inside of one half, use your knife again to flip the halves closed. You might have leftover syrup, especially if it’s a little on the warm/thin side as you work. But like any cookie crumbs, leftovers make great ice cream topping. 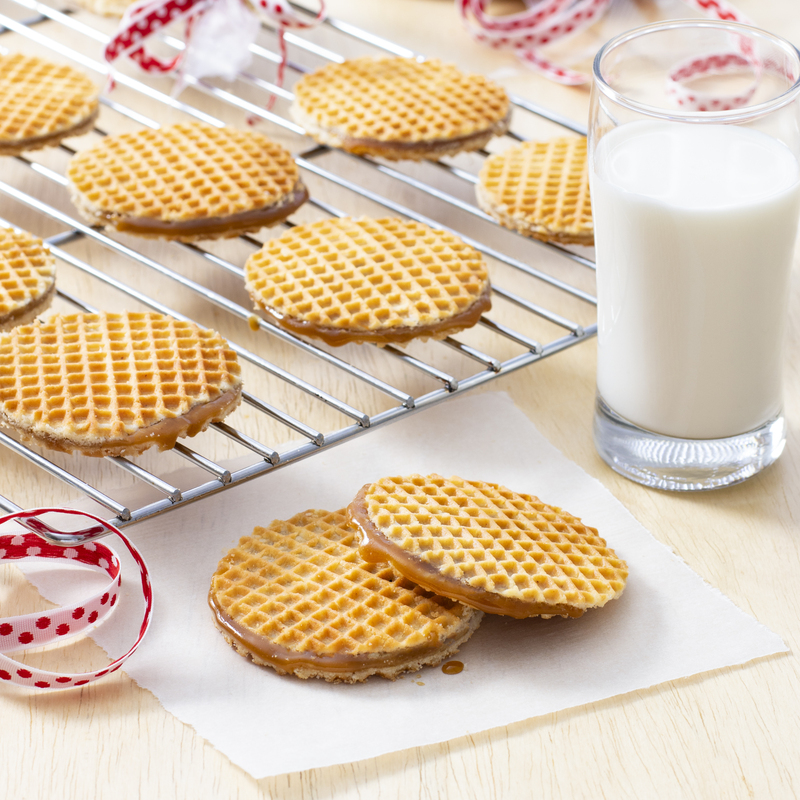 You can stack assembled stroopwafels, separating each cookie with a square of parchment or wax paper.